The Citizen Architect Studio is part of a consortium of three upper level art, architecture, dance and design studios that explore how multidisciplinary design practice can engage professionals, academics and local cultures and communities. The Fall 2014-15 project focused on Washington Park, a racially, economically and culturally diverse neighborhood known for its artist communities and active neighborhood groups. 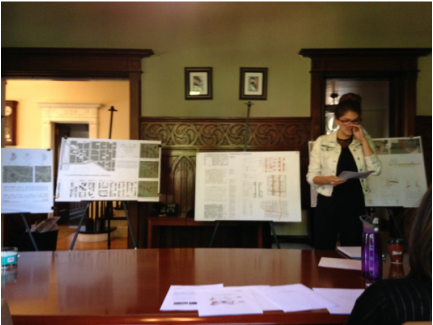 The studio participants engaged with local residents and business owners, carefully examined the house stories and oral histories collected during the 2014 Summer field school, and worked with architects, planners and landscape architects from Quorum Architects. Quorum Architects is a leading proponent of civic practice in the city of Milwaukee. The firm’s philosophy “begins with an understanding that our clients possess a comprehensive knowledge of how their facility operates. We listen. We care.” This ability to listen has influenced their engaged-practice and is central to the core values of this studio. 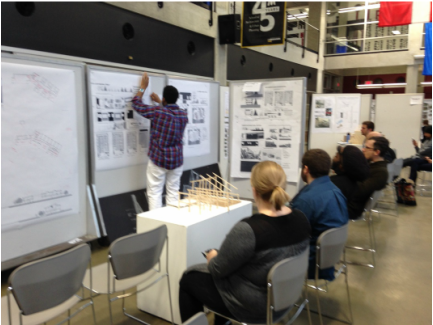 Quorum Architects staff served as mentors for students and committed to attend design reviews. 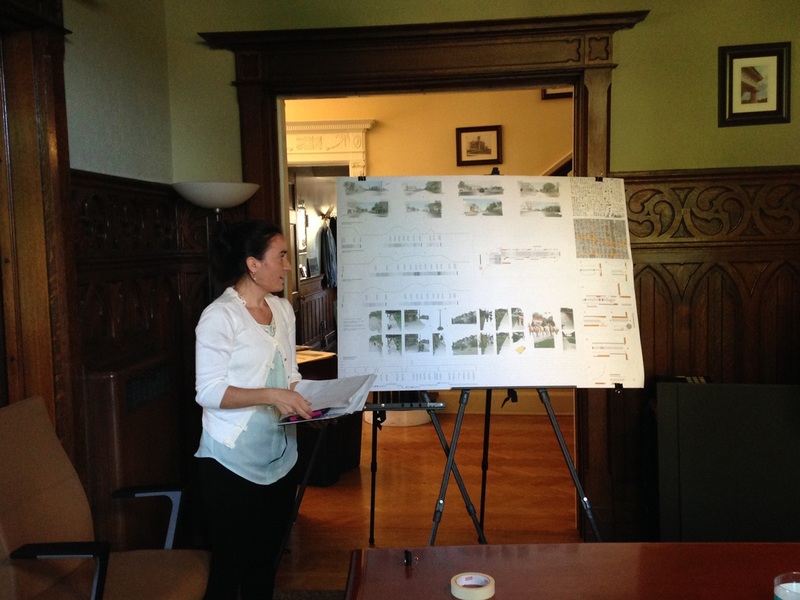 Design projects were defined and generated together with Quorum Architects staff members and staff from the Washington Park Partners. 1. New Programming that responds to the unique needs of this community. 2. Rethinking Infrastructure that recommends that we work towards optimizing already existing assets in this neighborhood. 3. Flexible Prototyping, a process that replicates successful design models across the neighborhood by using novel technologies, paying attention to local details, and employing nimble practices. 4. Catalytic Insertions a strategy that promotes small-scaled design interventions that enable local residents to determine future growth. Clarify Methods and Evidence: Traditionally design studios produce “ideas” in the form of design proposals, development ideas and drawings. This is not adequate. In this studio we articulated the “design methods” and research information that underpin design responses. Along with our design explorations we considered ethical values and practices that guided our work. New ethical challenges confront architectural scholars and practitioners in the 21st Century. First is the issue of equitable engagement in which design addresses the myriad needs and expectations of end-users. In the context of increasing social and economic inequities, declining urban communities, and crumbling built infrastructure, cities like Milwaukee (also called legacy cities) serve as examples or case studies where architects and designers can find innovative and resurgent solutions. 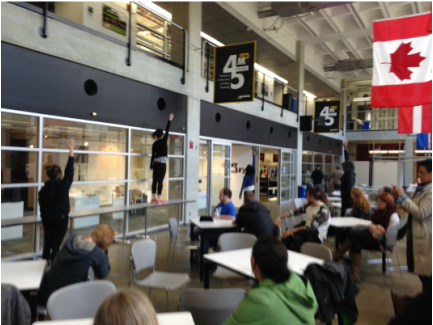 ﻿ The studio participants concluded that architecture has to be resilient and adaptable. If we are to survive economic, climatic, and social disasters in ways that are sustainable then we will have to design buildings that accommodate and adapt to change and diversity, a quality that N J Habraken calls building capacity. We moved beyond the one-day design charrette or community workshop model as a mode of engagement with communities and explored deeper forms of interactions such as being involved in the community.